AFL star Jimmy Bartel on domestic violence. AFL star Jimmy Bartel's violent childhood fuels his desire to stop domestic abuse. Jimmy Bartel is a champion sports star. He plays for the Geelong Cats, he’s a Brownlow Medallist, a Norm Smith Medallist and has played in three premiership games. He’s also a victim of domestic abuse. His father Terry routinely verbally and physically abused him, his mum, and two sisters. Bartel has opened up to the Herald Sun about growing up in a violent household, and the impact this had on him. Terry Bartel was a gifted sportsman himself, who Jimmy says is a man you would want to “hang around with at the pub” but not have as a father. Despite being young, Bartel remembers vividly violent scenes around the home. He and his family lived in fear. As a new father himself, it’s clear that Bartel is determined to influence change in the community. 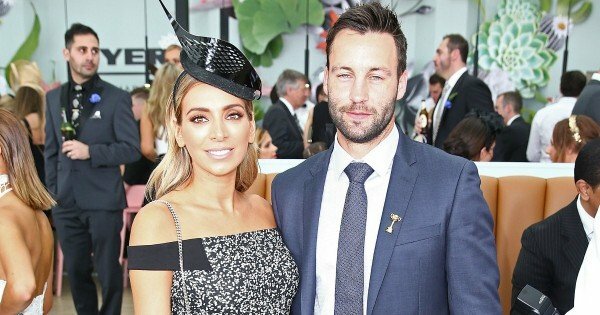 Jimmy Bartel and his wife Nadia. Image via Getty. His parents separated when he was still a baby, and although his mum tried to help him have a relationship with his father, they didn’t have much of a relationship. Bartel says his father was an popular and intelligent man who justified his behaviour to himself. It’s a strong reminder that domestic violence can be perpetrated by anyone, no matter what their background or status. And although Bartel can see many similarities between him and his father, he credits his mum for the way he has turned out. It’s no surprise Bartel is now a passionate domestic violence campaigner. Yesterday, he launched “Face Up to DV”, a campaign to raise awareness and funds for the support of domestic violence victims. 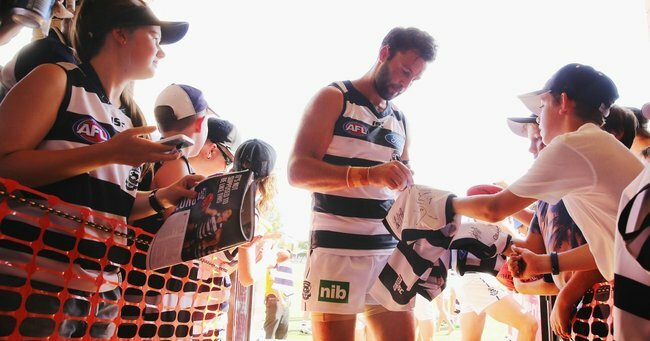 Bartel says he will not shave his face or cut his hair for the entire 2016 AFL season, in the hopes that whenever people see him, they will be reminded of the cause, sparking conversation about the issue. All funds raised will be split between The Luke Batty Foundation, and Bethany, which is a Geelong based family services organisation. Despite everything, Bartel looks back on his childhood with fondness, saying his life with his mum and sisters was “perfect”. If you would like to donate, head to bendigobank.com.au/geelongcatsfaceuptodv.